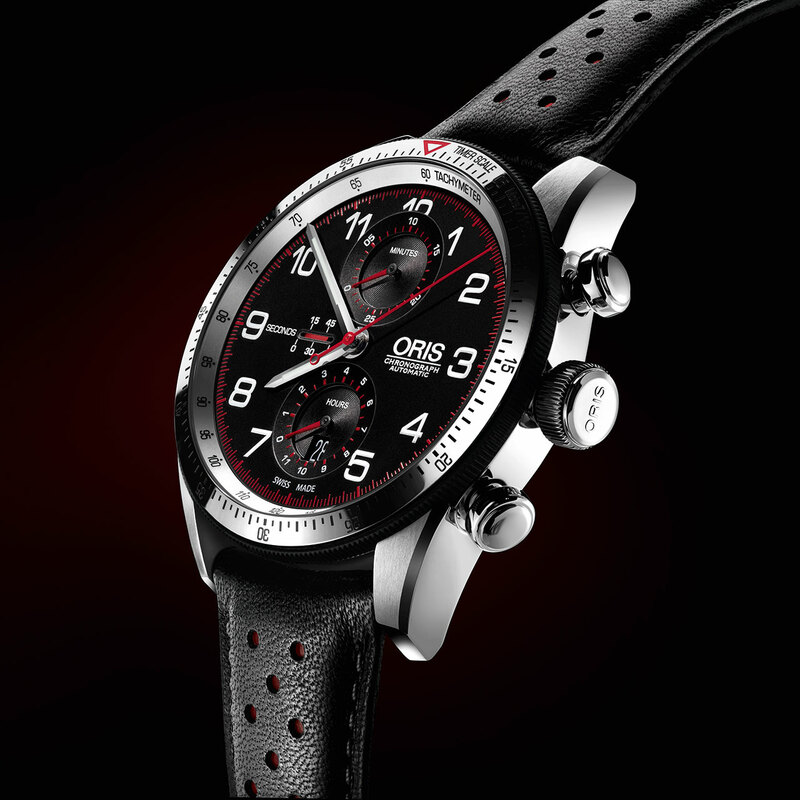 To celebrate the new edition of the “Oris Rallye Clásico Isla Mallorca”, the Swiss watchmaker presents the Calobra limited edition. A chronograph with a strongly evocative automobile touch. The steel case is equipped with a bidirectional ceramic rotating bezel with a rubber-coated edge to ensure an optimal grip. The silver-toned inner bezel ring, engraved with a tachometric scale, is directly fixed to the case. The original matt black dial inspired by dashboard counters features a linear small seconds display at 9 o’clock. The back of this limited edition bears an exclusive engraving depicting the famous “tie knot” symbolises the diabolical hairpin curves of the Calobra rally route. 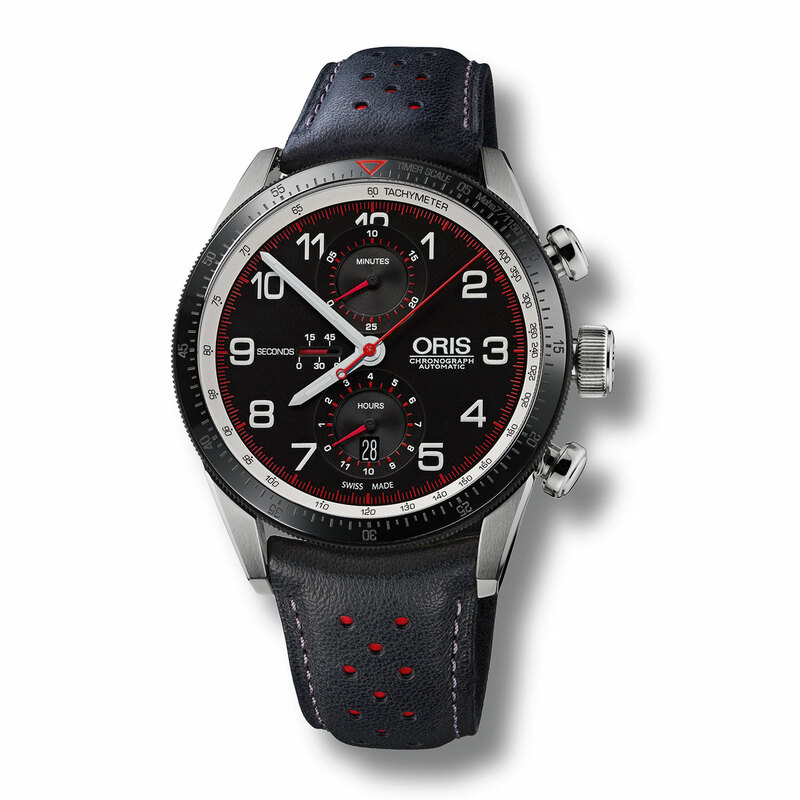 The perforated black and red leather strap resolutely evokes the world of classical cars that line up for the rally. 1,000-piece limited edition.